Nothing is sacred when Jobsite Theatre’s “Bad Boys of Abridgement” present a comic look at history. Through Sept. 23; 8 pm Friday and Saturday; $15, $13 center members; Tarpon Springs Cultural Center, 101 S. Pinellas Ave., Tarpon Springs; (727) 942-5605. For the record – Jobsite has absolutely NOTHING to do with this production. It is fact NOT Tampa’s Bad Boys of Abridgement. We don’t even know who they are – but it’s not us. Don’t be fooled! 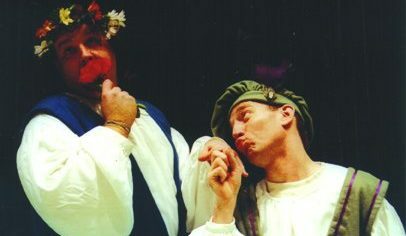 Jobsite performs The Complete Works of William Shakespeare (abridged) Nov. 10-12 and All the Great Books (abridged) Jan. 12 – Feb. 4.